← Three Ghostly Yarns: compliments of Mr. Charles Dickens! 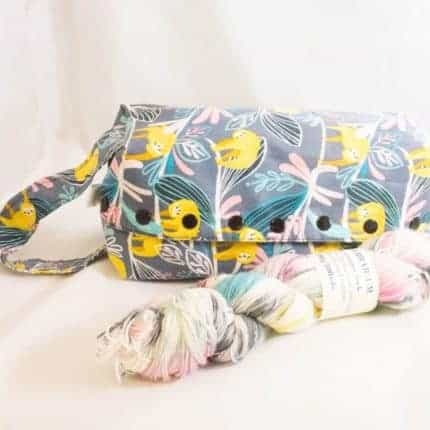 Did you see our awesome collaboration set with Fiberarrium at Knitters’ Day Out in Harrisburg? Afraid you missed out? Don’t you worry! We found a few extra sets hiding out in our inventory! The link will take you right to the item page, but hurry! We only had a couple of these left, and once they are gone, that’s it! 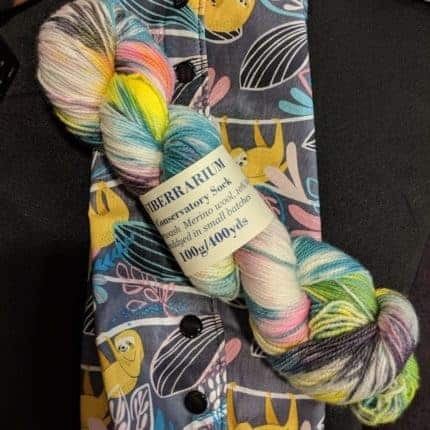 The bag is one of our Medium bags (10″ x 5ish”) and a skein of Fiberrarium Conservatory Sock 90/10 Merino/nylon blend, 400yd/100g skein.